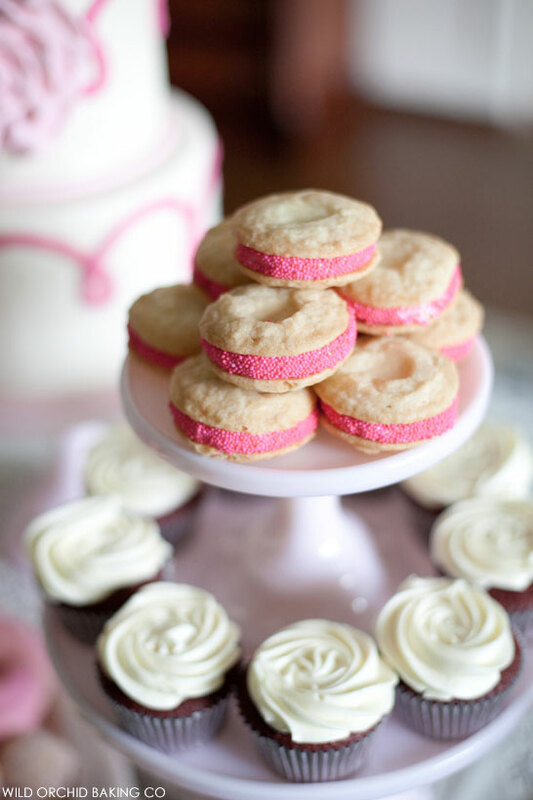 In honor of Breast Cancer Awareness Month, The Cake Blog is going pink! For an entire week, we’ll take a break from the Fall and Halloween inspiration to celebrate with pink. To remember, honor and support all of those who’s lives have been touched by breast cancer. 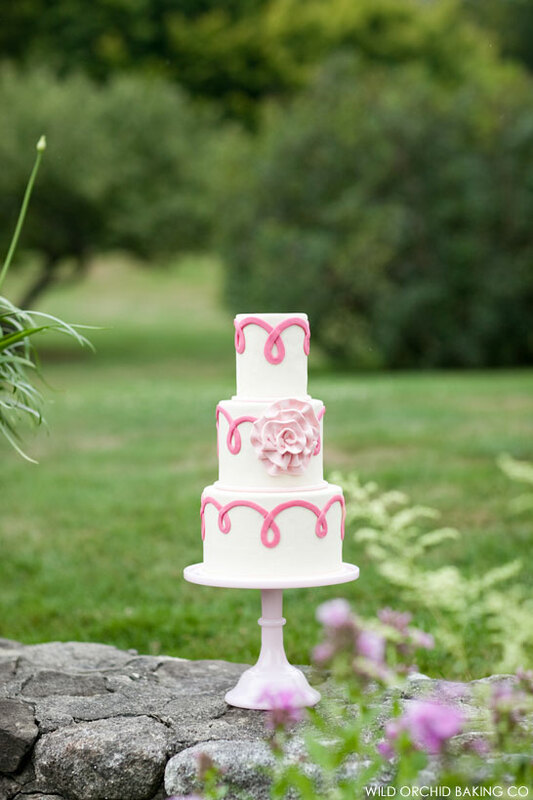 We kicked off the week on Monday with this gorgeous Pink Awareness Cake. And today we’re back for more! 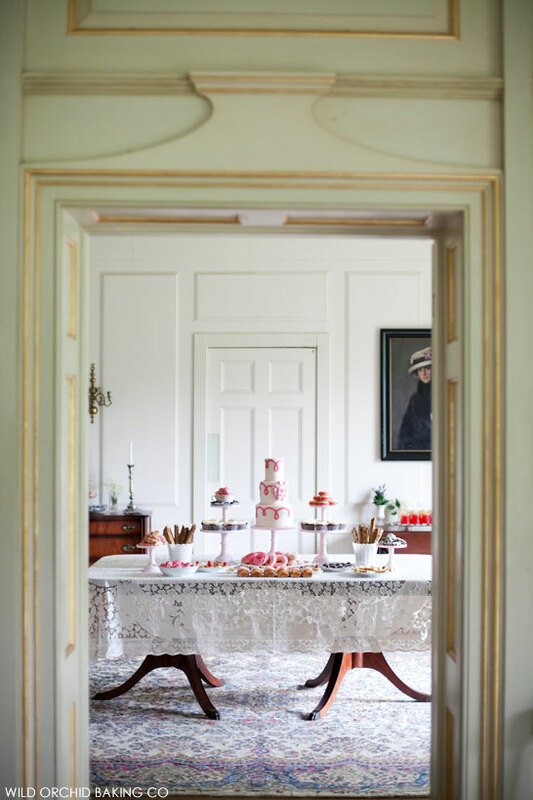 Our feature today is one of sweet abundance filled with pink desserts of every kind with a vintage flair too pretty for words. 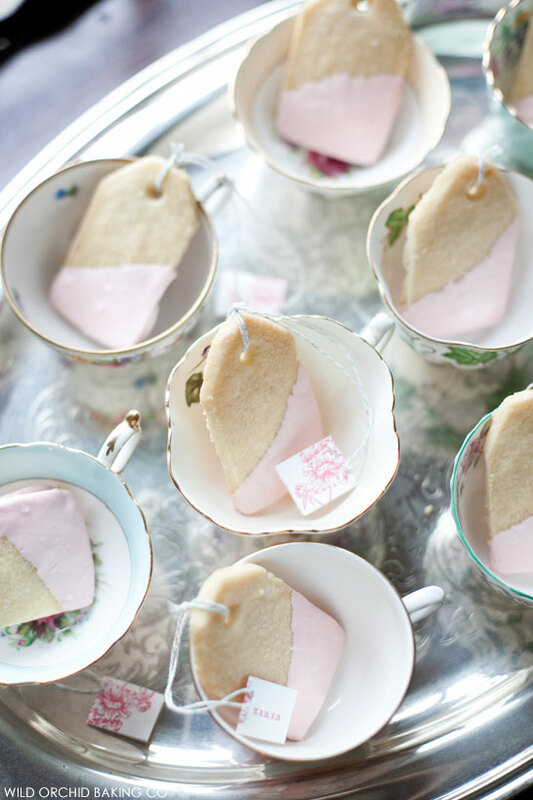 Brimming with pink ribbons, this Victorian dessert display has an ultra-feminine look, but with a modern twist. 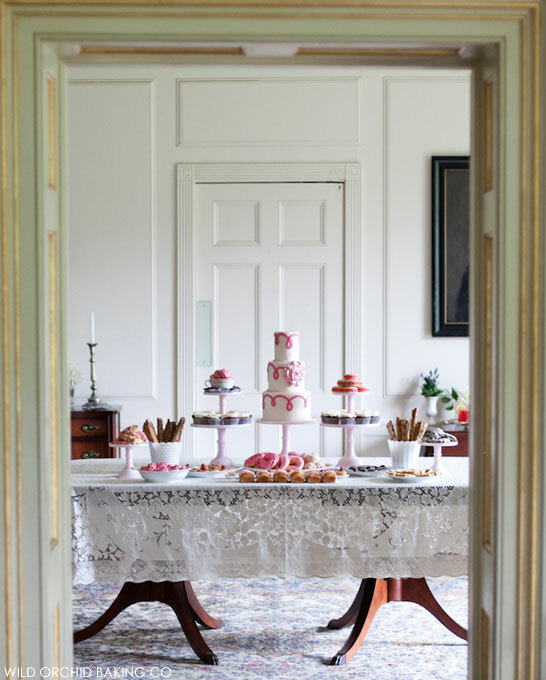 It starts with a table draped in lace and topped with pink cake stands, stacked double high. 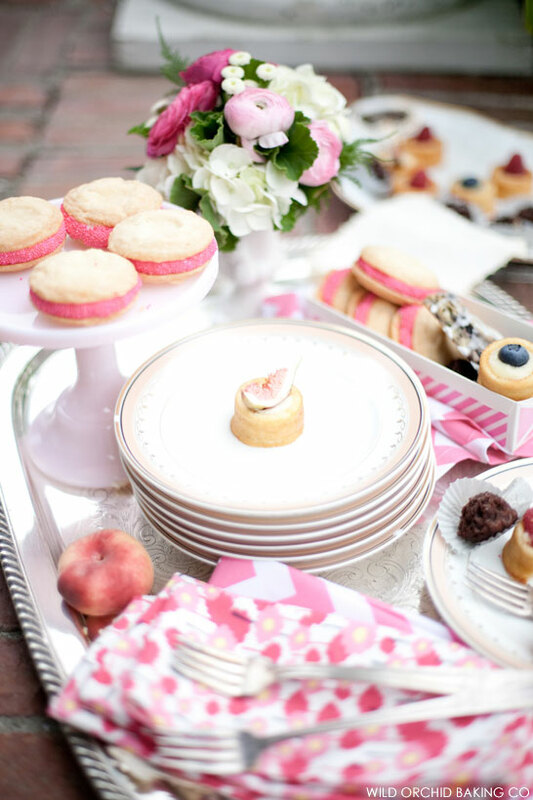 The fun continues with bite-sized sweets and mini desserts, with a few extra dashes of pink. 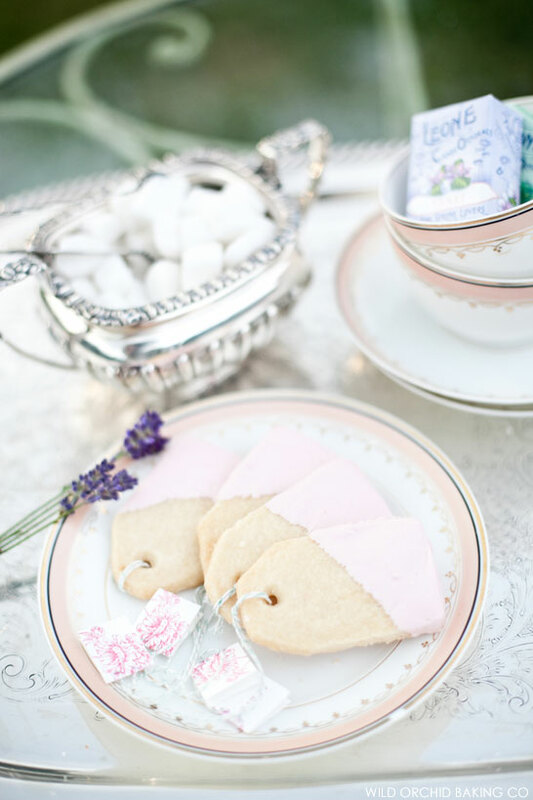 Gorgeously creative details, like tea bag shaped cookies, add to the romantic charm. 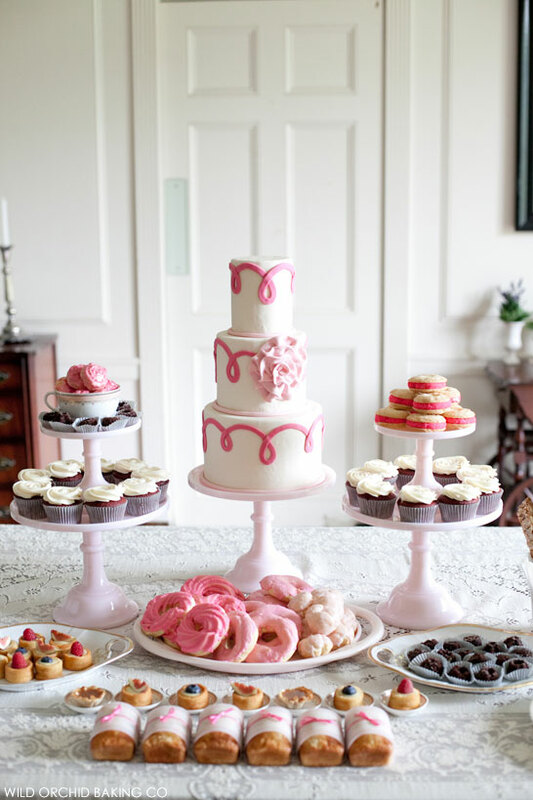 While a pink ribbon cake takes center stage. 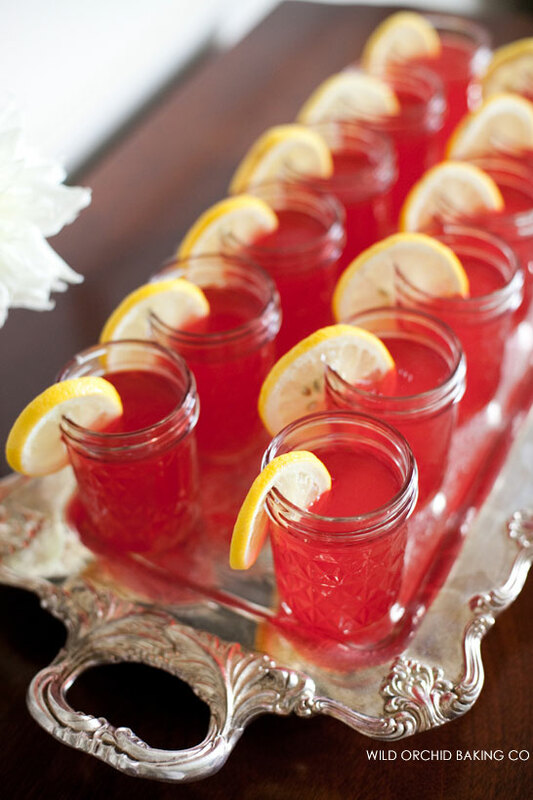 It comes to us from Erin Gardner, owner of Wild Orchid Baking Company in in New Hampshire. And well, it’s a perfect fit for our Pink Week! 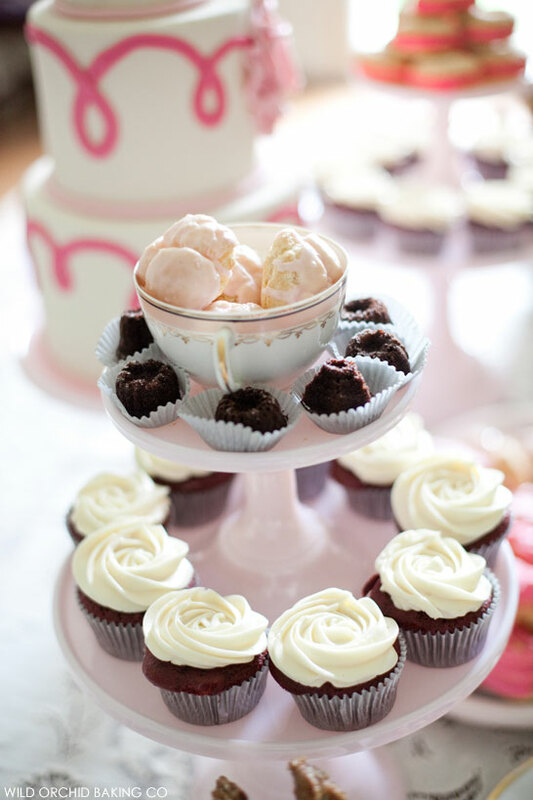 A huge thank you to Erin of Wild Orchid Baking Company for sharing this charming dessert display with us today. We are in love with all of the pink goodness it has to offer. Not to mention that incredible cake, with its pink ribbons swirling all around. So tall, slender and refined – it’s simply stunning! I love this! 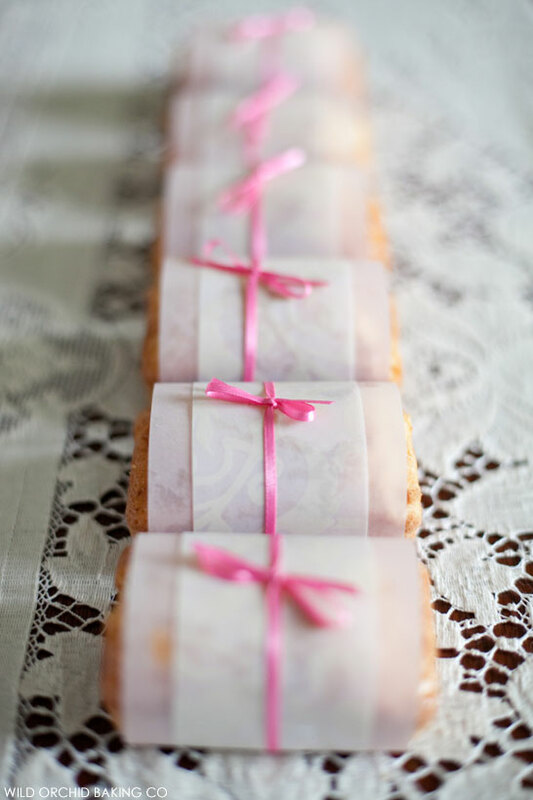 I love the cake, of course, but you had me with pink nonpareils. Beautiful. So pretty in pink. Lovely cake and desserts.